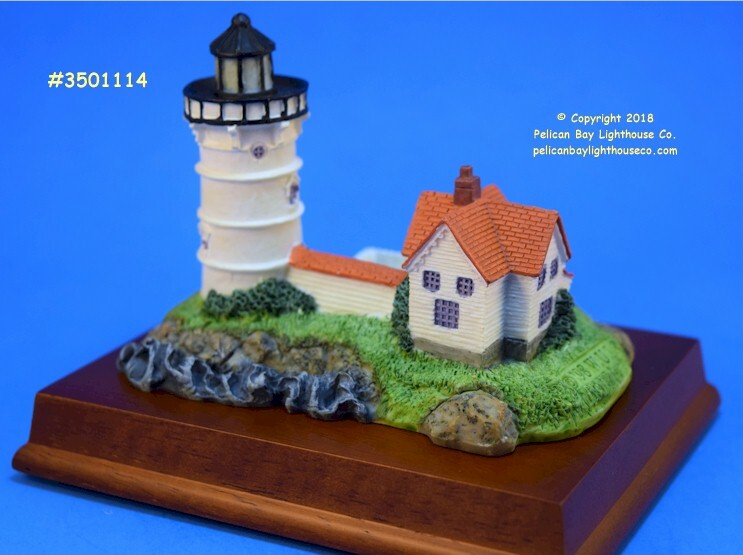 Pacific Trading Lighthouse #4841. 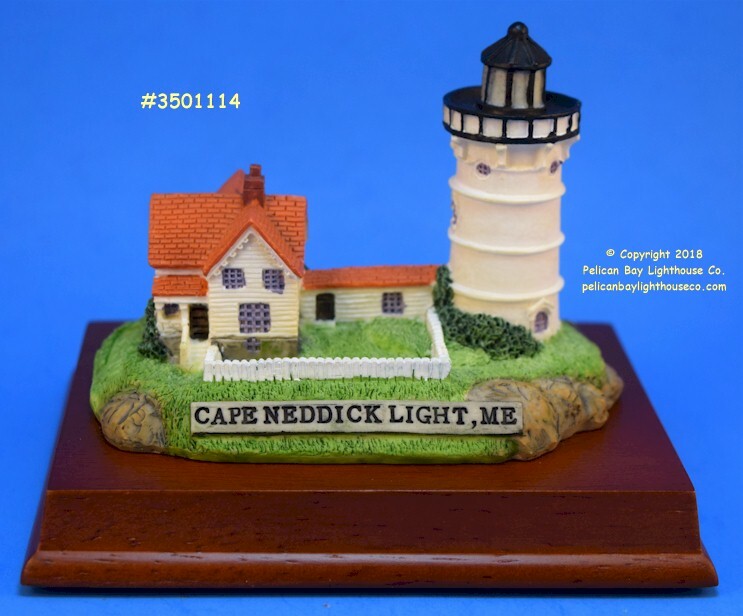 Cape Neddick, Maine. 4-1/2" x 3-1/2" x 3-1/2" tall. Boxed.